Former Republican U.S. 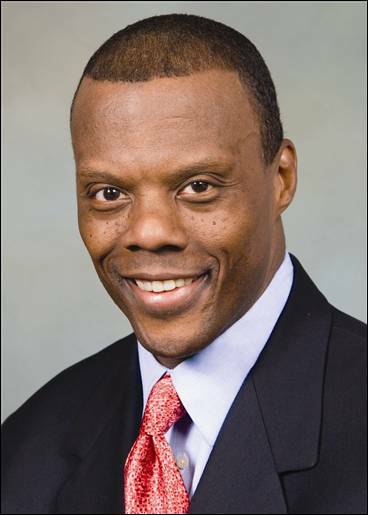 Congressman J.C. Watts, the 2011 Isabella Cannon Distinguished Visiting Professor of Leadership, will interact with the Elon University community during a two-day visit to campus this month. On Feb. 22 Congressman Watts will deliver a formal address titled “Leadership Lessons from the Sidelines and Aisles of Congress,” as well as participate in a question-and-answer session the following day. During his three terms in the Congress, Congressman Watts participated in the House Armed Services Committee, whose focus is to provide for the men and women of the armed forces. He also authored the Community Solutions Act of 2001, a faith-based initiative, along with several other pieces of legislation. The professorship, which began in 2004, provides opportunities for the Elon University community to gain insight about the challenges and characteristics of leadership. The two-part visit begins on Feb. 22 at 7:30p.m. in McCrary Theater, where Congressman Watts will deliver his formal address. The question and answer session will take place on Feb. 23 at 11:00 a.m. in Whitley Auditorium.